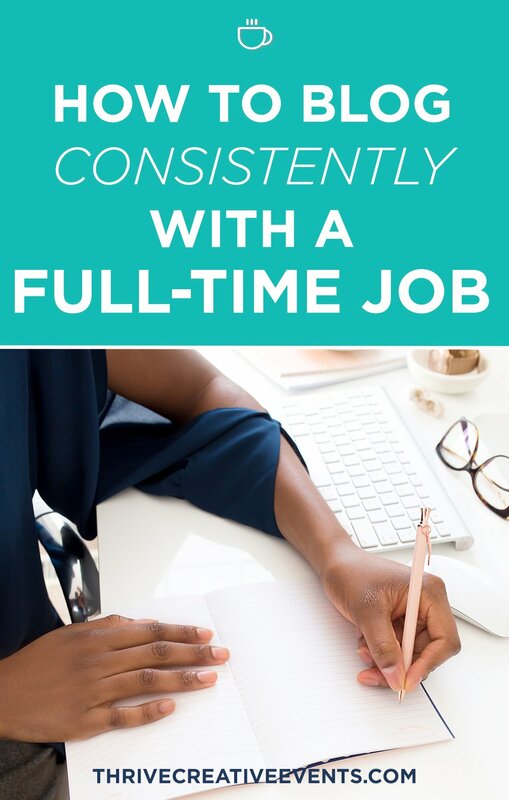 One of the questions I get asked most often is; How do you manage to work a full-time job outside the home in a non-social media related position and still manage to blog and create content for social media consistently? Oh yeah, not to mention, I’m married with two kids and love napping and downtime. Truth is that for the first couple of years, I didn’t get much rest. And, these days contrary to what most people might believe I’m not always on social media. A lot of my posts and a lot of my content is scheduled and spaced out throughout the day to accommodate for the hours I’m at work daily. I’ve also created time in my schedule weekly to put my content together and/or write my blog posts. But, for a little over a year now I’ve dedicated myself to my FT time, family, running my social media and heading a local group called Houston Latina Bloggers. So, I’ve focused less on blogging and more on my connections and network. It’s not an easy task to get it all done. But, it’s worth it. And, once you figure out the right balance that works for you, it just all somehow comes together. I make time every afternoon to sit at my computer and type out any ideas I might have even if it’s for 30 minutes or an hour. It’s something that I did consistently for about 8 years. Of course over the last couple of years, that time has dwindled because I’ve dedicated myself to my FT job, personal life and running HLB. But, when I first started it was a must every night, yes almost 7 nights a week. And, on Sunday mornings, I would wake up before everybody else, as early as 6/7am and create my content/posts for the week. It’s possible. There is time. You just need a good schedule that you will follow through with. I don’t take every opportunity that gets sent my way. At least not anymore. Sure for a while when I first started I would try to take every opportunity because I felt like I would be missing out on something or because I felt it was the thing to do to grow. But, as the years went by I realize that not every opportunity had to be made an action item. These days I am very selective about the content that I place on my blog and the opportunities that I say yes to only because I have a different focus on my career and family. If it’s a brand that I really want to work with and it fits into my schedule and content then yes I will take up the opportunity. But, if I know I truly won’t have time then I will decline it. I have a lot of support from my husband and my kids. When my kids were little they knew that if I was sitting at the computer it was because I was “working”. So they knew that I needed my time and space. And, my husband also knows how passionate I am about writing and creating a community so he’s also gotten very used to my late night work schedule or getting up early morning on the weekends to get things done. I imagine it would definitely be a struggle if it was doing something that my family was not on board with. That’s very important. Having support in all areas of your hustle. Being part of blogging communities and groups. This is also, very important. Only because not everybody is going to understand your goals, your passion, or your brain on most days. So, it’s very important for you to be a part of good, consistent, growing blog groups that are going to be there to support you and help you along the way. 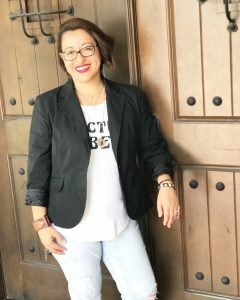 For me, it was very important to connect with other Latina Mom Bloggers locally and nationally, which have helped me grow year after year. My tribe is usually my source of creativity, motivation, and support. Knowing your limits and flexibility is important to maintain a good balance and not experience burn out. Don’t be so rigid or hard on yourself. Things happen DAILY that can change the course of our schedules and plans. 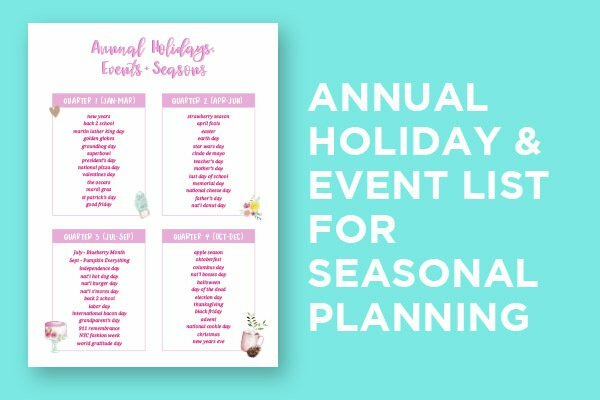 While I love blogging, I feel like we are often pressured (by ourselves) to be at every event and then feel guilty if you don’t make it. We shouldn’t make ourselves feel this way. Flexibility should be your best friend. It’s something I’ve learned the hard way. In all, I hate to be so cliche but where there’s a will there’s a way. You can also read my post about how I’m just like Beyoncé, not really but kind of! HAHA. « Do You Need Self-Hosted WordPress? Thanks for this, Connie! I work full-time and blog at least twice per week. I’ve had to realize that consistency is not the same as rigidity. As you said, flexibility is important! I love this post SO much and identify with it a lot. While I don’t have a family, I do work a full-time job and sometimes trying to get in my blogging time feels like such a challenge. I think making it a priority and scheduling time every day is the best way to keep moving forward. Thanks for a great read, Connie! Connie this is great advice! I worl full-time, I’m studying to become a health coach and also launched my blog recently so any tip or trick that helps me maximize my time and be able to perform well at everything is well appreciated. I so need to work on building my tribe! Loved this post! I’m brand new to the blogging world and work full time. I’ve jumped in head first and am trying to create good habits from the get-go. Your suggestions are super helpful as I work to decide what kind of expectations and schedules I want to set for myself.